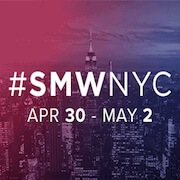 Social Media Week NYC #SMWNYC (April 30 – May 2, New York, NY) NYC’s premier media & marketing event brings together marketing, media and technology professionals from more than 50 countries with a curiosity and passion for new ideas, innovations and emerging trends in social media. The final agenda has been announced with new speakers, tracks and sessions. Use the code nyc19sme15p for 15% off your pass. VidCon US (July 10-13, Anaheim, CA) VidCon is the world’s largest event for fans, creators, executives and brands who are passionate about online video and building diverse communities. This year VidCon marks its 10th anniversary, and the Industry Track will offer an unprecedented line-up of experts and industry leaders who will provide deep insight into monetization beyond advertising, maximizing influencer ROI, leveraging new platforms and formats, and secrets to growing your global audience organically and through smart paid programs. Your industry ticket gives you access to 200+ speakers, 75 informative sessions, plus entrance to the Industry Lounge, networking sessions, social events, and all of our amazing Creator and Community programming too! Propel your business forward and register now! 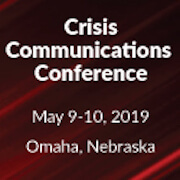 Crisis Communications Conference (May 9-10, Omaha, NE) Today’s businesses face countless threats to their reputation and bottom line. Is your organization prepared? Discover how to tackle everything from #DataBreach to #MeToo or #Ebola at this can’t-miss event at Nebraska Medicine. Learn from experts at the Centers for Disease Control, Ben & Jerry’s, the City of Des Moines, Webroot and more. You’ll leave this event with the skills you need to prepare for potential mayhem, respond calmly in the event of a crisis, and restore your reputation after the dust settles. Attendees will also have the chance to tour the facility’s biocontainment unit, used to treat Ebola patients during the 2014 outbreak. Register here to save $150 on this conference. 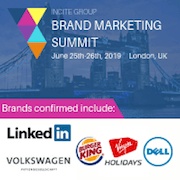 The Brand Marketing Summit Europe (June 25-26, London, UK) is the must-attend event for those looking to reinvent their marketing and engage their customers. Knowing your customer and their journey has become essential to delivering customer engagement. Customer expectations are rising from personalized interactions and an experience that delights, the customer is empowered, and the modern brand needs to rise to the occasion. The future of marketing depends on possessing a deep understanding of your customer’s needs and providing them with the right interactions, at the right time. Lead the conversation at this year’s Brand Marketing Summit Europe. 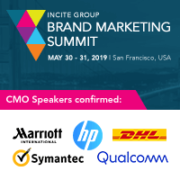 The Summit will bring together globally recognizable brands from across Europe and the world to discuss the headline themes which are changing the way marketers reach and engage. Register now. Social Media Strategies Summit (April 30-May 2, Chicago, IL) #SMSsummit Chicago is the #1 event chosen year after year by senior-level marketing professionals to keep up to date on the latest in social media marketing. 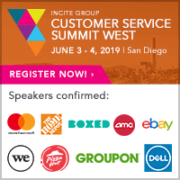 Attend sessions, case studies, and in-depth workshops covering critical topics including social strategy development, content marketing, video, employee advocacy, influencer marketing, paid media, and more. Register for 15% off using code SMECHI15. Tactical social media training focused for brands, and always actionable. As an attendee you will catch up on the latest industry trends while also updating your content creation process, social ad tactics, and social video strategy.. 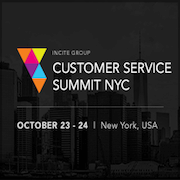 Learn from industry expert speakers, including Bacardi, NBC, LinkedIn, Facebook, UPS, Peloton, and more. Use promo code SME100 in checkout to save $100 off your ticket. Want your social media event listed? More details here. To schedule your listing email tai@socialmediaexaminer.com.